We offer welding gas for MIG and TIG welding purposes. Simply pay a one off deposit for your first gas cylinder and first gas fill, keep it for as long as you need and then refill it as often or as little as you like. 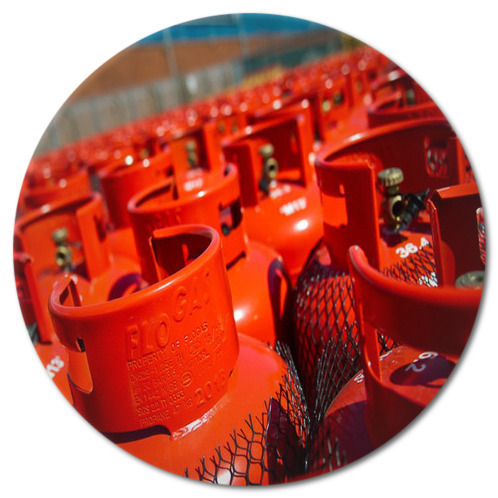 Many gas users do not require their cylinder every week of the year and understandably do not want to rent a high pressure gas cylinder they will only use occasionally. However, disposable cartridges are very expensive in relation to larger cylinders. 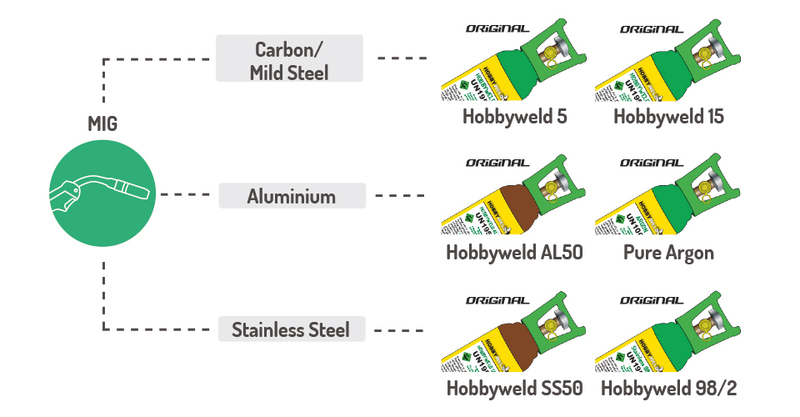 Hobbyweld provides the solution and it couldn't be easier. With the Hobbyweld gas bottle, you can take advantage of high quality gases in large refillable gas cylinders without the need to pay rental or high delivery charges. What Gas Do I Need? MIG (metal inert gas) welding, sometimes referred to as wire welding, MAG (metal active gas) or GMAW (gas metal arc welding), is today, the most common welding processes in the world due to its speed and versatility. MIG welding is a process in which a continuous supply of wire (supplied on reels) is fed through the gun which acts as both a filler material and the electrode which melts the metal being welded. A flow of inert gas is used as a ‘shield’ to protect the weld from airborne contaminants and atmospheric gases such as nitrogen and oxygen which can cause poor welds, fusion defects and porosity. 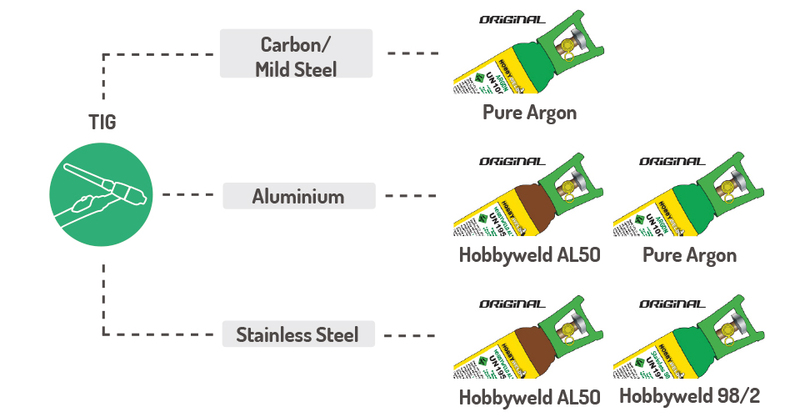 TIG (tungsten inert gas) welding, sometimes referred to as heliarc welding or GTAW (gas tungsten arc welding), is most commonly used to join thin sections of metals such as stainless steel and aluminium (a non-ferrous metal - doesn’t contain Iron). TIG welding is a more complex welding process which is difficult to master and is slower than most other welding techniques. TIG welding uses a tungsten electrode to create the arc at the area being welded. 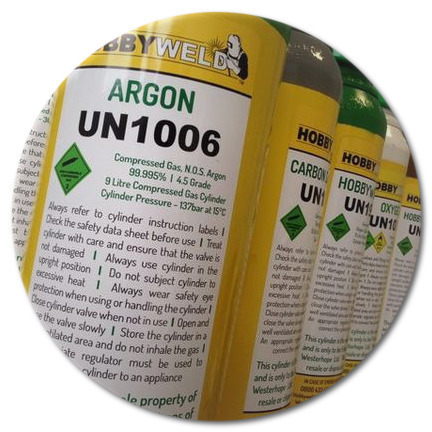 A inert gas is used to shield the weld from contaminants , thus creating a clean weld and preventing the area being welded from oxidising..
the variables associated with welding make it diffcult to advise gas mixes with 100% accuracy, therefore, when choosing a gas it is advised you also verify compatability with your welding wire and machine.